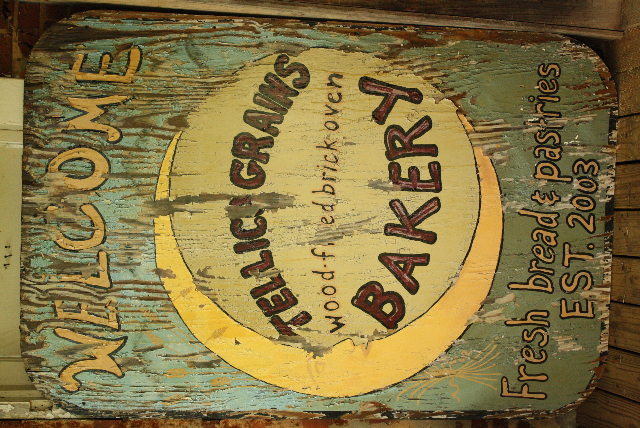 Why does Tellico Plains, a very small town in the foothills of the Great Smoky Mountains, have such a terrific artisan bakeshop—Tellico Grains Bakery? Tellico Plains, Tennessee is one of those tiny towns (population around 900) you half expect to just blow away someday. Located 60 miles southwest of Knoxville and 75 miles northeast of Chattanooga in the foothills of the Great Smoky Mountains and surrounded by farms and forests, it amounts to a few homes and a couple of blocks of one- or two-story stores. A trickle of recreational travelers passes through while driving the area’s scenic highways or going biking, hiking and white-water rafting. 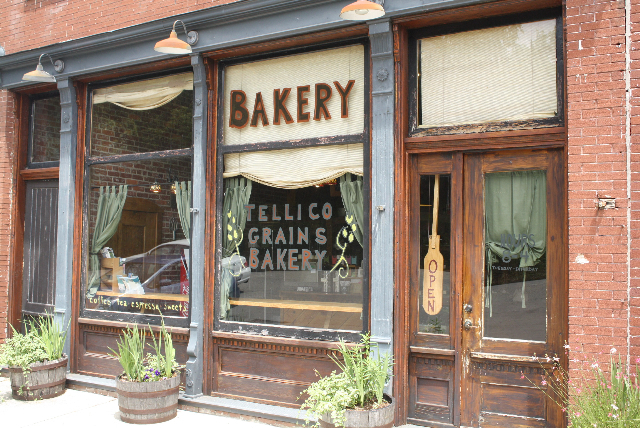 So how does Tellico Plains—which earns only the briefest of mentions in accounts of 1500s explorer Hernando Desoto passing through, 1700s Cherokee trading paths, 1800s Civil War skirmishes, and the heyday of logging—come to have a world-class artisan bakery? 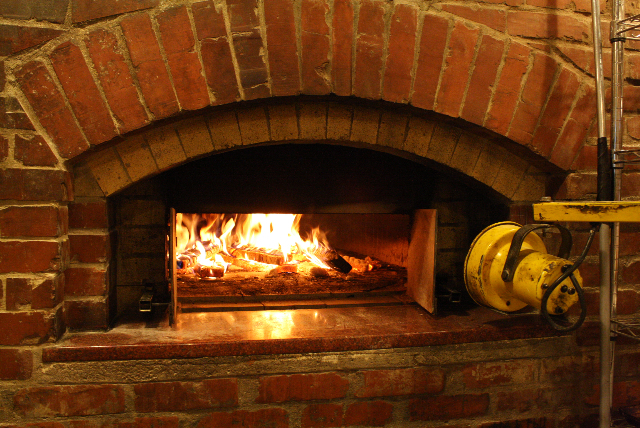 Complete with a handcrafted wood-fired brick oven and a devotion to classic Old World baking techniques? 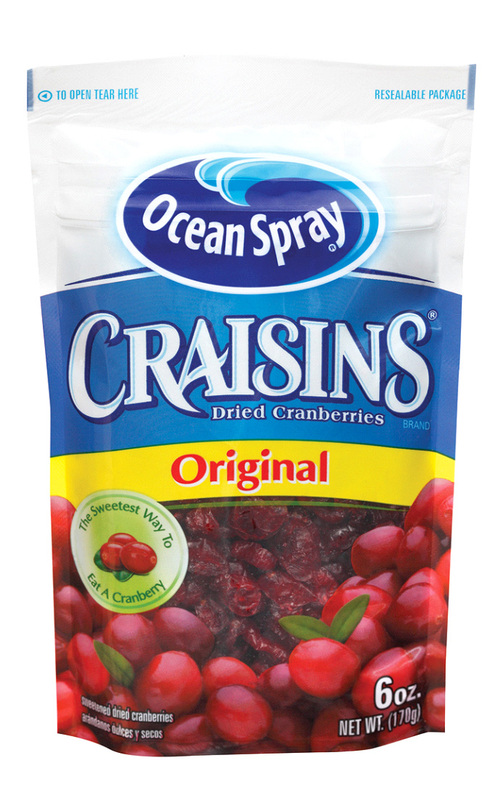 Cranking out all manner of pastries, pies, cakes, cookies, muffins, crusty breads and even pizzas? 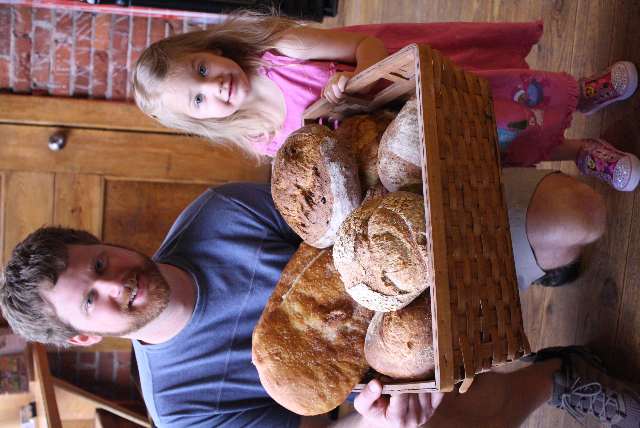 The simple answer: “Because we love it here!” says baker Stuart Shull, co-owner of Tellico Grains Bakery along with wife and fellow baker Anissa Shull. 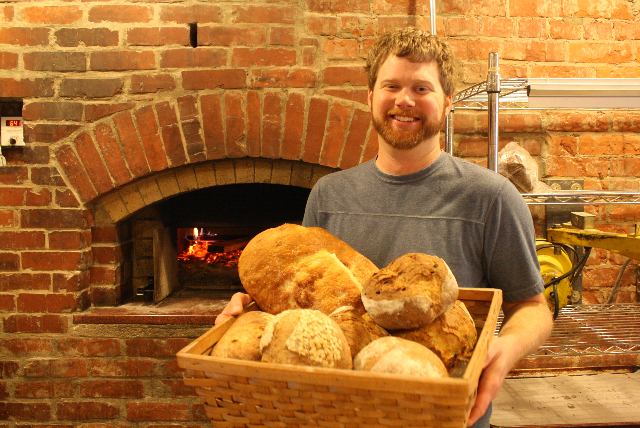 “We looked at places all over the country and then decided to come here in 2002,” Stuart says while stirring starter for bread dough and eyeing the temperature in their prized wood-burning oven. “The cost of living is low. We found the perfect building where we can live right upstairs from work. 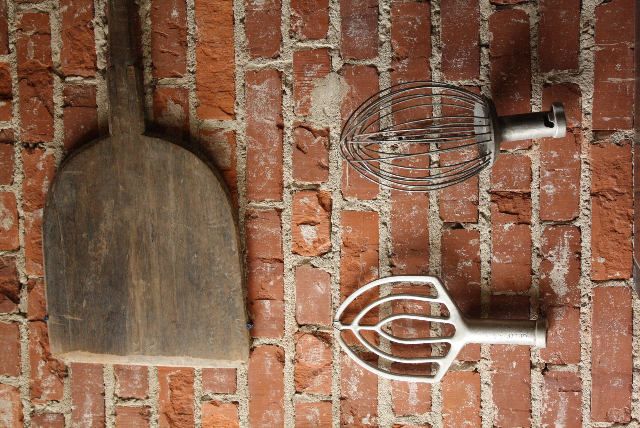 Our neighbors have been very receptive to all the things we’re baking,” he says. The couple zigzagged their way to Tellico Plains. Stuart, originally from Kansas, discovered an interest in foods during high school when he signed up for a cooking class because it sounded easy. Baking pies and breads and cooking steaks and lobsters turned out to be more fun than he expected. At Kansas State University, he studied baking sciences and restaurant management before slipping off to ski-resort-intensive Crested Butte, Colorado, to work as a line cook in a restaurant, where he met pastry chef Anissa. 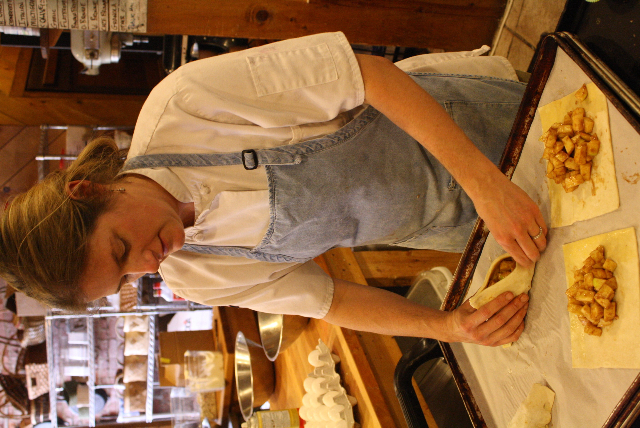 Anissa, an Iowa native, came to pastry through, of all things, artificial insemination of hogs. “I was a lab rat with a degree in animal sciences, and I worked with hogs at the University of Missouri for three years before becoming a baker,” she says with a slight smile, knowing how odd this must sound, as she rolls dough for turnovers. 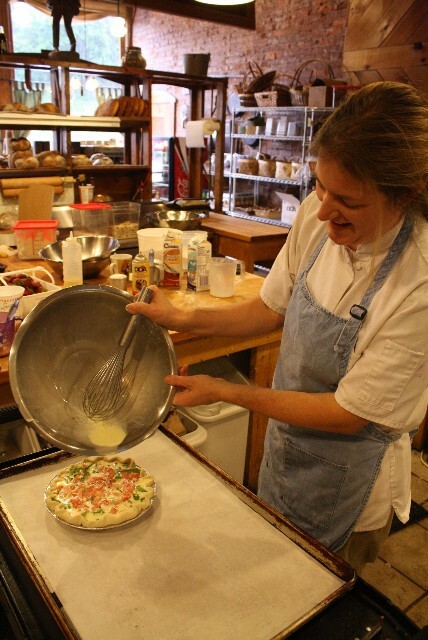 “I also worked in a veterinary molecular biology lab at Montana State University, making vaccines used on bison in Yellowstone National Park,” she adds, checking on the progress of a browning quiche. Inspired in part by the seminal bread-baking book Bread Alone by Daniel Leader of Bread Alone Bakery in Boiceville, New York, Anissa made the jump from critters to the culinary world, heading to New York City to complete the Art of International Bread Baking course of study at the French Culinary Institute. 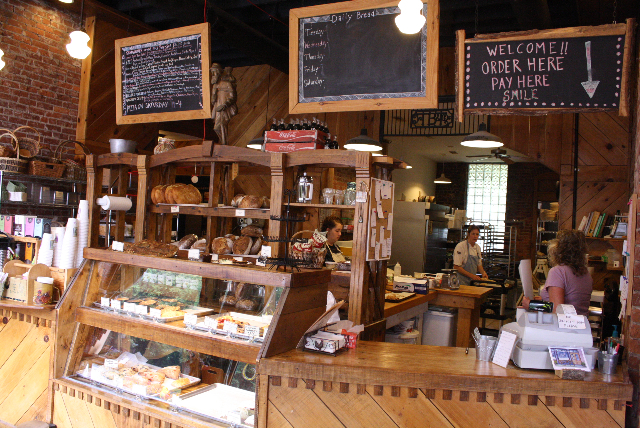 There, Anissa worked at Normandy Farm Artisan Bakery on Society Street downtown (it has since moved to the West Ashley area). “That’s where I learned to make croissants by the hundreds for the Charleston Place Hotel, one of Normandy Farm’s biggest customers,” she says. 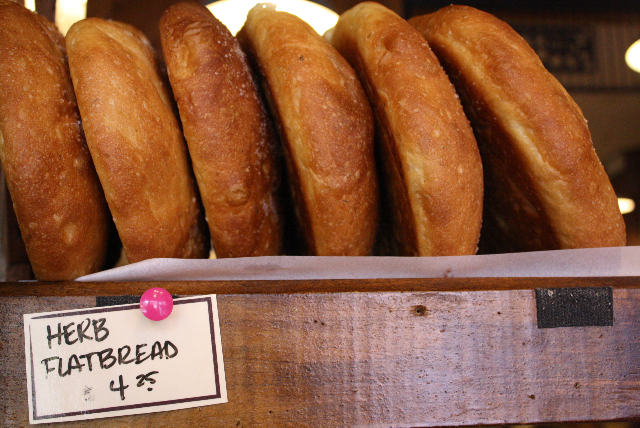 They began searching for a place to launch their own bakery. After passing up nearly a dozen possibilities, they found tiny Tellico Plains and a squat little brick building available just off the town square. 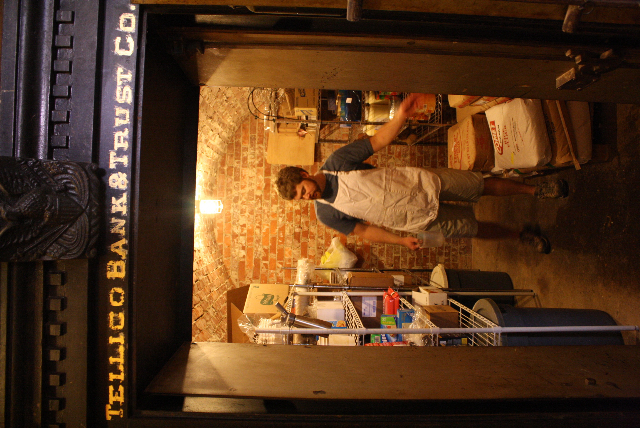 “This building began as a bank in 1908,” Stuart says, ducking into a steel vault now used to store ingredients. “Over the years it also held a doctor’s office, vinyl and carpet store, post office, VCR repair shop and other businesses. We have the building next door too. It was a movie theater, pawnshop, grocery and who knows what else.” They gutted both to make Tellico Grains downstairs and the family’s living space upstairs. 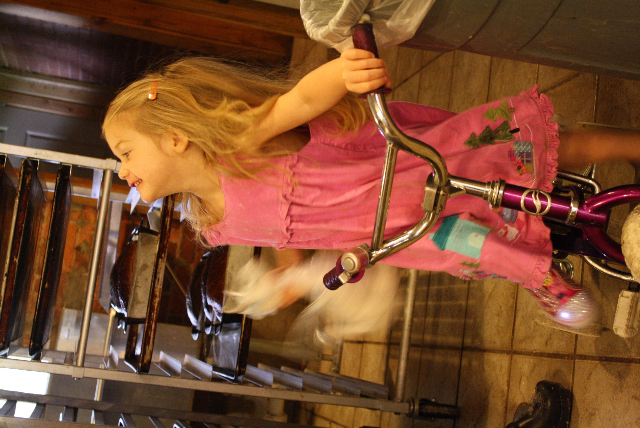 As if on cue, Simone makes an entrance, riding a pink bike with training wheels through the bakery, dodging hot pans of scones, avoiding whirling mixers, and asking what’s for lunch? She and her sister Anja, a first-grader due home from school any minute, are growing up in a bakery, just like I did, with work, play, home, jobs, customers, friends, parents and bosses all rolled together. What an adventure they’re having! Working their separate shifts, with overlaps that let them talk while staying busy, the two bakers produce a miraculous variety. 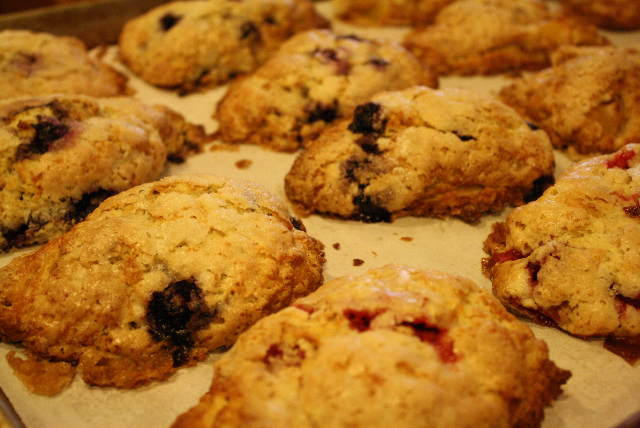 Hefty scones teem with blueberries or cranberries. 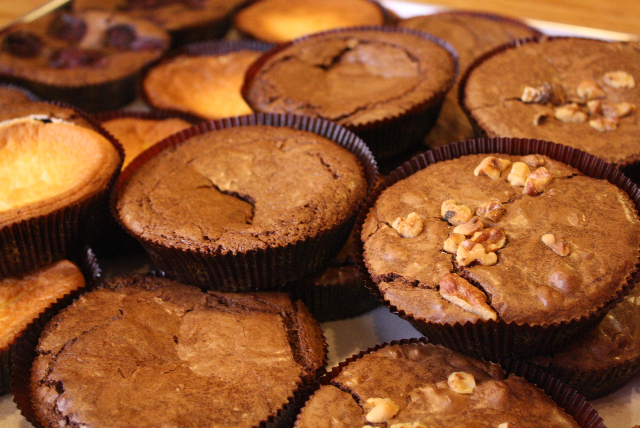 Brownies feature walnuts, cheesecake and other variations. 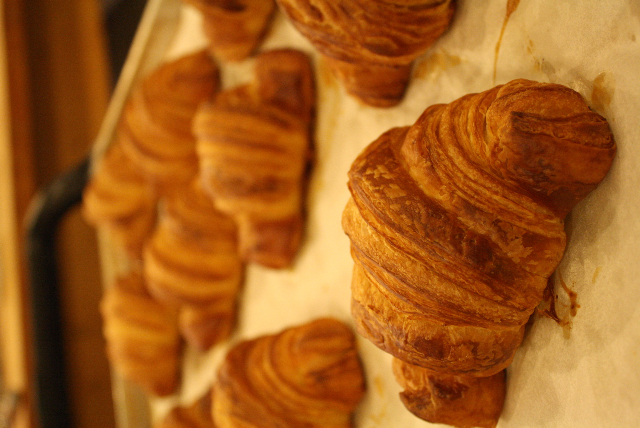 Croissants come plain, filled with chocolate, or topped with strawberries and whipped cream cheese. Muffins, cookies, cupcakes, turnovers, fruit tarts, Danish pastries and more gradually fill showcases and then quickly disappear in the hands of satisfied customers. 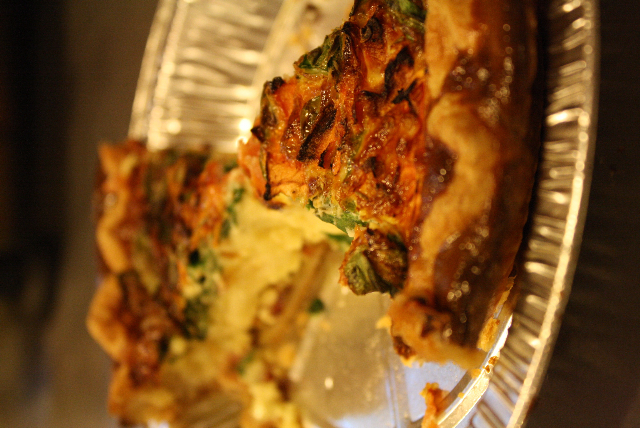 I watch as Anissa fills a quiche with eggs, bacon, tomatoes and spinach, bakes it, slices it, and serves it to people who wait around after catching a whiff. The whole aromatic pie is gone in minutes. Meanwhile Stuart plans out his night’s bread schedule. The oven holds at most 35 loaves at once. 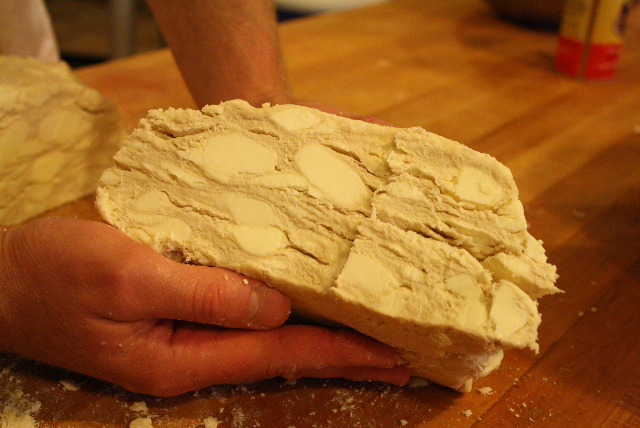 He must time each batch of dough to be ready in tight sequence, making efficient use of the space and accounting for the gradually falling temperature inside. 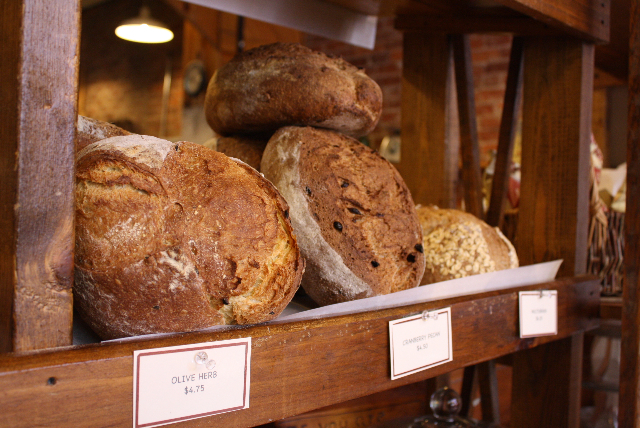 The results—big, brown, crusty loaves of herbed black olive, honey wheat, cranberry pecan, multi-grain, pumpernickel rye, raisin walnut, sourdough, herb flatbread smeared with a salty brine on top, and other variations—take center stage on rustic wooden display shelves. Some loaves get sliced for piled-high deli sandwiches, which fly out the door with hungry hikers, bicyclists, whitewater paddlers, motorcycle clubs and other fans. Saturday is Pizza Day at Tellico Grains. Instead of making his usual humped, round, crusty loaves, Stuart rolls out flatbread dough and tops it with fresh local ingredients, including prosciutto and bacon from Benton’s Smoky Mountain Country Hams in nearby Madisonville, Tennessee, and portabellas from Monterey Mushrooms in Loudon, Tennessee, as well as feta, spinach, artichoke hearts, onions and more. “During the growing season around here, people bring us extra tomatoes and zucchini and other produce from their gardens just to see what we’ll do with it,” Anissa says. The bakery also delivers baked goods regularly to several fresh markets: Three Rivers Market, a natural-foods cooperative at 937 North Broadway in Knoxville (moving to a bigger site at 1100 North Central Street in late August), 865-525-2069; The Market in Maryville at 606 High Street in Maryville, 865-541-5150; The Market at Union and Gay at 504 South Gay Street in downtown Knoxville, 865-541-5150; The Public House organic restaurant at 212 West Magnolia Avenue in Knoxville’s Old City district, 865-247-4344; and the Just Ripe food co-op at 513 Union Avenue in downtown Knoxville, 865-851-9327. 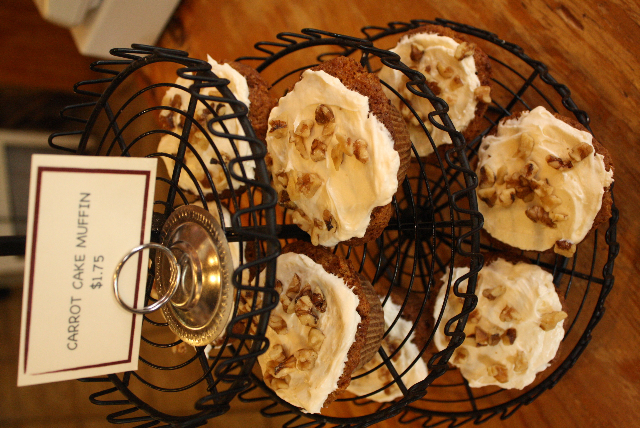 To reach an even wider audience, including people who’ve been to Tellico Grains but don’t live close enough to stop by often, the bakery offers mail-order service. Gift boxes include cinnamon rolls slathered with gooey vanilla butter cream, scones loaded with cranberry and orange or raspberry and white chocolate, variety packs of brownies, or whole loaves of hearth-baked breads. One Monday each month Stuart and Anissa drive to Knoxville for a live television spot on WBIR-10’s “Channel 10 News at Noon” show. “It’s a 4-minute segment, so we come up with recipes or techniques we can demonstrate in that short a time,” Anissa says. 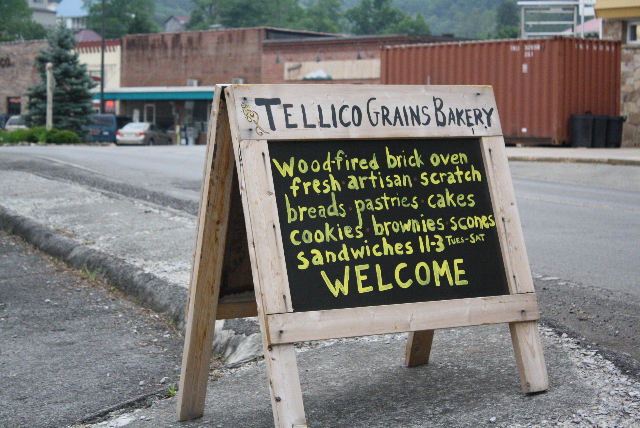 The TV gig helps attract more day-trippers to Tellico Plains to check out Tellico Grains. 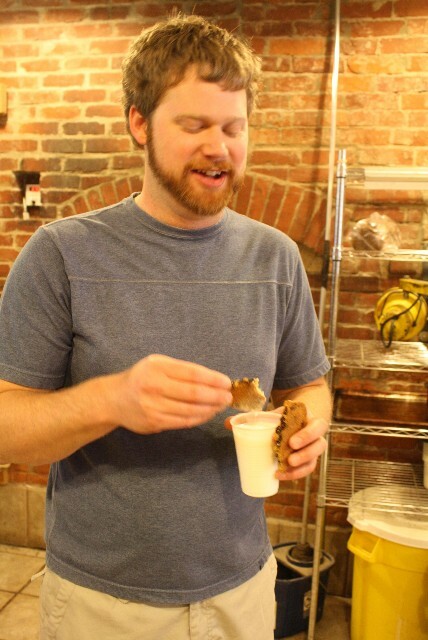 I’ve interviewed hundreds of bakers, but this was the first one who—during our visit and without prompting—tucked into some cookies and milk just for the simple pleasure of it. A Zen moment. 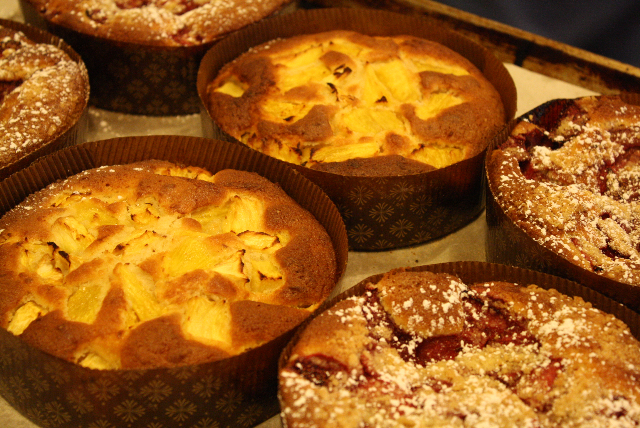 Ahh…bakery life is good! When the bakers I meet realize that I am truly interested in what they do and that I want to write about them—that I’m not asking for a job or stealing trade secrets or trying to sell them anything—they usually open up to me, show me around, let me take pictures while they work, and share a recipe or two. 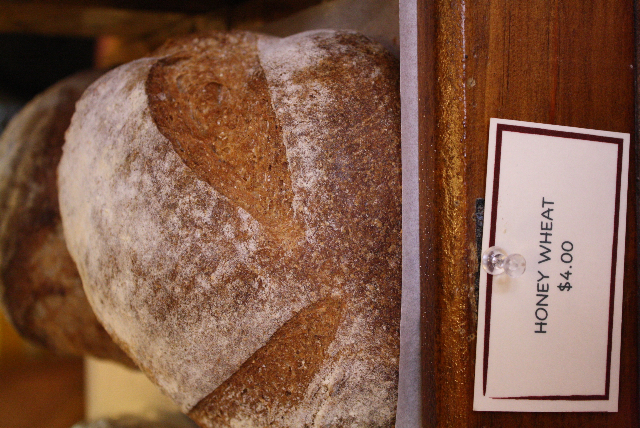 After countless encounters with bakers, a recent incident came as a most pleasant surprise. It happened during my interview with Stuart and Anissa Shull at their Tellico Grains Bakery in Tellico Plains, Tennessee (click here to see the full story). At the moment, Anissa was telling me about their family life, about raising two small daughters in a small bakery in a small town, while she rolled pastry dough and scooped fruit filling and folded turnovers. Jotting in my notebook, I glanced over toward Stuart, who was studiously monitoring the temperature of the bakery’s prized wood-burning brick oven. Just then Stuart—quietly and without me prompting him for a photo opportunity or whatever—poured himself a glass of milk, grabbed a few chocolate chip cookies off a warm pan, and started having a little snack. My jaw dropped. My pen froze in place. This was bakery life at its best. 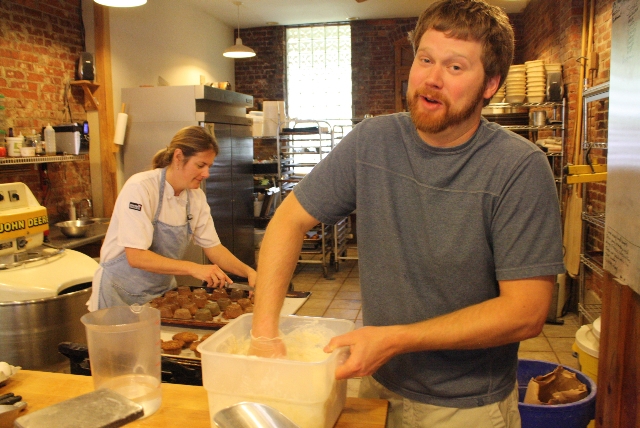 Here was a baker, unaware that anyone was watching, enjoying the fruits of his labor—enjoying a Zen moment on the job. Stuart dipped a cookie in the milk and took a bite before noticing that I’d grabbed my camera and zoomed in on him. 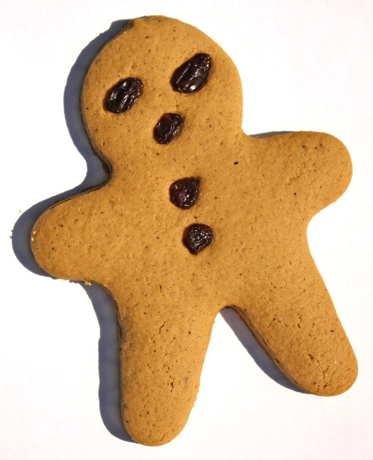 He broke into a crumb-flecked grin. Classic! Minimal handling and cold chunks of butter are keys to making flaky pastries with this simple recipe. I try to learn something new from every baker I meet, and to pass along tips to Bakery Boy Blog readers when I can. During my visit with Stuart and Anissa Shull at Tellico Grains Bakery, Stuart made a batch of puff dough, a simple combination of flour, butter, and water that the couple uses for pie crusts, turnovers and fruit tarts. Here’s his recipe, scaled down to make enough dough for three pies. Just in time! This patriotic red-white-and-blue cookie recipe will put the finishing touch on the July 4th cookout at my house. Everything else is just about ready for Independence Day at our place. Meats and marinades on hand. Vegetables and shrimp for skewers. Grill scrubbed clean and ready to fire up. A watermelon and various drinks chilling. Guests invited and side dishes assigned. I’m even planning to churn ice cream during the festivities, which I haven’t done in years. 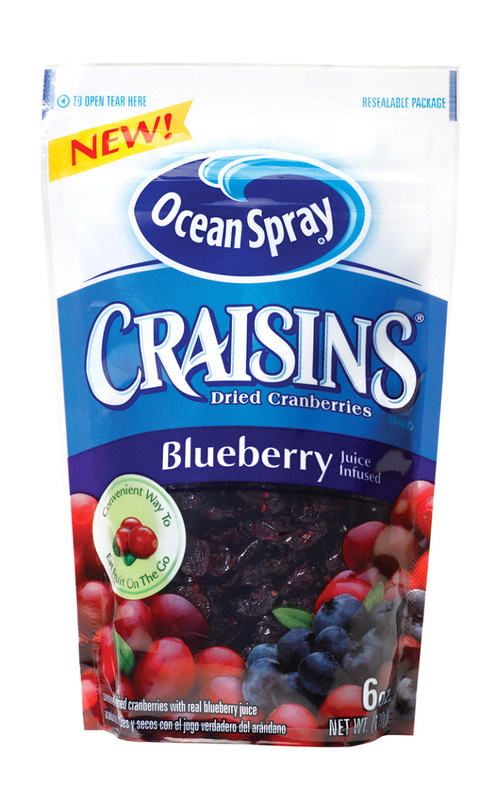 Still, I wanted to have something sweet on the table for snacking purposes before, during, and after the actual grilling takes place. 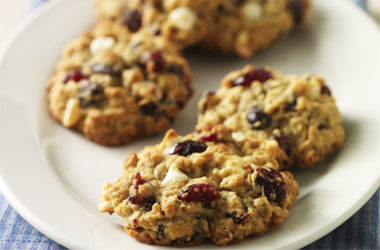 So it was just good luck that this cookie recipe came to my attention earlier this week.